Are you looking for AC Duct cleaning? Most of the in-home air arrives through air ducts when an HVAC system operates. Those air ducts can get dirty with mold, microbes, and bacteria, in addition to loads of dirt and dust. Therefore, it is recommended to have your air ducts cleaned on regular basis. You can count on Air Purification Technologies for professional air duct and HVAC system cleaning. Our technicians will do a thorough air duct cleaning for your Florida area home, allowing you to breathe cleaner, healthier indoor air. Air Purification Technologies is a well known and certified air duct cleaning company, servicing throughout the Florida area. We strive to offer our clients an excellent service for an affordable price. We have years of experience in duct cleaning business. Our trained and fully insured technicians use the most up-to-date technology to offer your home the best air quality possible. Our thorough air duct cleaning process helps remove allergens and dust from your home’s indoor air, allowing you to breathe easier. Our experienced and uniformed technicians use a direct contact cleaning procedure to ensure a comprehensive cleaning. With a dedicated long standing team and updated equipment, our business is based on quality work. At Air Purification Technologies, we specialize in air duct, ventilation, and HVAC system cleaning using the most advanced tools and technology to improve your home’s indoor air quality. Our experienced technicians carefully examine your home before starting the cleaning process. The size and built of every house are different; therefore an individual assessment will result in attaining the ultimate results in the duct cleaning process. 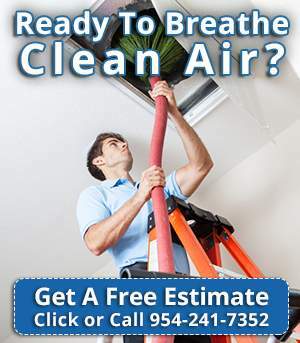 For contact information and more details about our air duct cleaning service in Florida. Start breathing freely, call us today!